Narender Saluja, Media Coordinator of Madhya Pradesh Chief Minister Kamal Nath, alleged the searches were carried out at the instance of the BJP and were “aimed at maligning the image of the Congress during elections”. Madhya Pradesh Chief Minister Kamal Nath. A day after the Income Tax Department conducted pre-dawn searches at premises of relatives and aides of Madhya Pradesh Chief Minister Kamal Nath, the Central Board of Direct Taxes claimed it had detected “widespread and well-organized racket of collection of unaccounted cash of about Rs 281 crore”, including transfer of Rs 20 crore to the “headquarter of a major political party in Delhi”. In a statement mailed Monday night, the CBDT said the searches were carried out by 300 I-T officials at about 52 locations in four states. It claimed these searches “yielded unaccounted cash of Rs 14.6 cr so far, besides 252 bottles of liquor, few arms and hide-skins of tiger”. Narender Saluja, Media Coordinator of Madhya Pradesh Chief Minister Kamal Nath, said: “How could the BJP leader come to know of the figure in the morning? What kind of collusion is this?”. He alleged the searches were carried out at the instance of the BJP and were “aimed at maligning the image of the Congress during elections”. “The searches in Delhi in the group of a close relative of the senior functionary”, the CBDT said, have led to seizure of “incriminating evidence” including cash book recording unaccounted transactions of Rs 230 crore, siphoning off money through bogus billing of over Rs 242 crore and evidence of more than 80 companies in tax havens. Also, several unaccounted/ benami properties at posh locations in Delhi have been detected, it claimed. 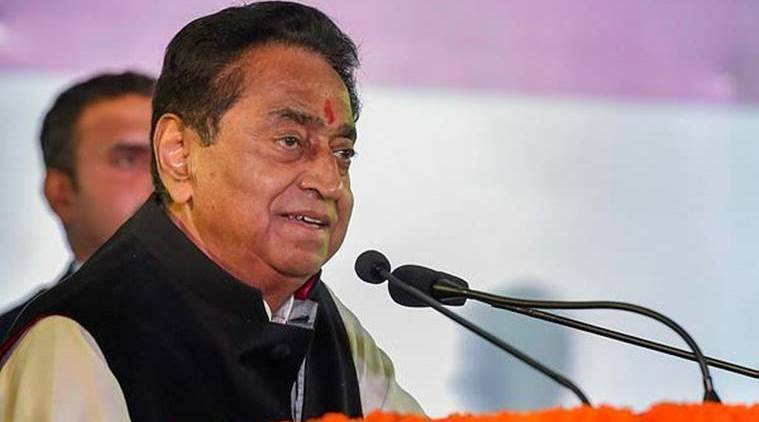 The premises searched included offices and residential premises of Kamal Nath’s OSD Praveen Kakkar, former advisor R K Miglani and executives linked to his brother-in-law Deepak Puri’s firm Moser Baer and his nephew Ratul Puri’s company. The ED last week questioned Deepak Puri and his son Ratul Puri in connection with the AgustaWestland chopper scam case.